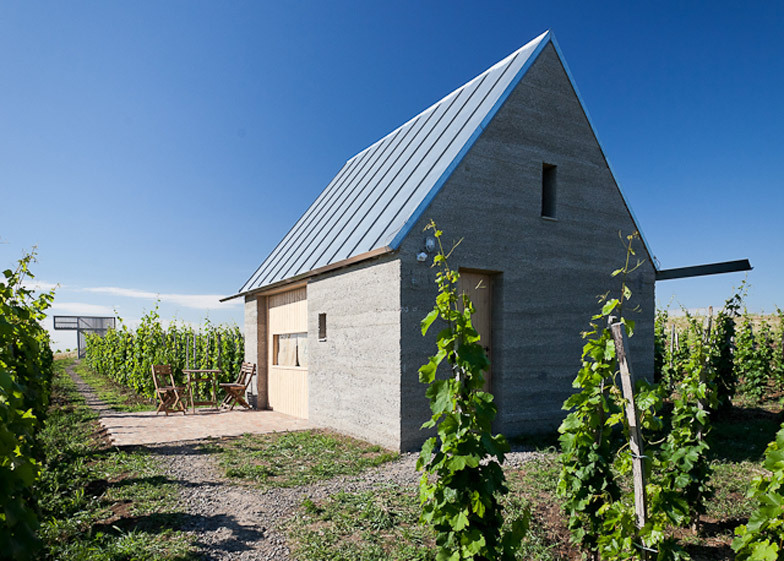 Budapest studio Gereben Marián mixed cement with local earth and rock to create the rugged walls of this series of buildings, which accommodate visitors to a vineyard in the Eger wine region of Hungary (+ slideshow). 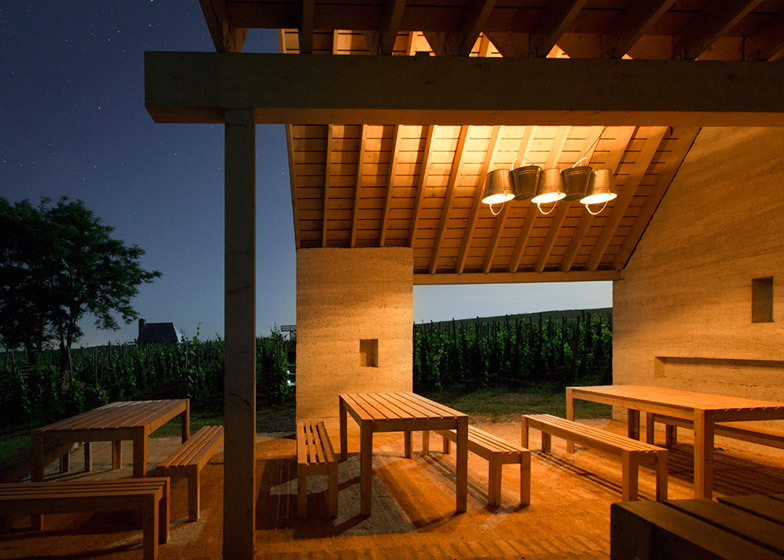 The client asked Péter Gereben and Balázs Marián to design a wine-tasting terrace. 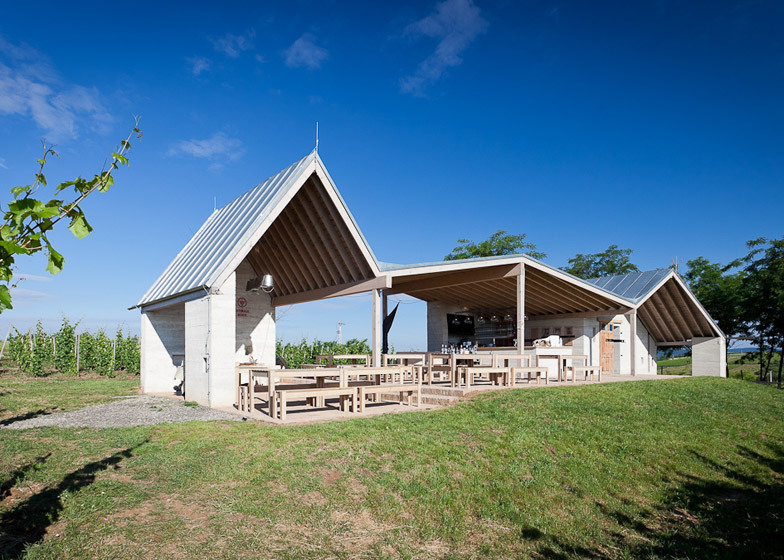 The architects had already completed a wine cellar but it is located in an unsightly industrial area, so the client was keen to create a visitor attraction in the more picturesque setting of the vineyards. 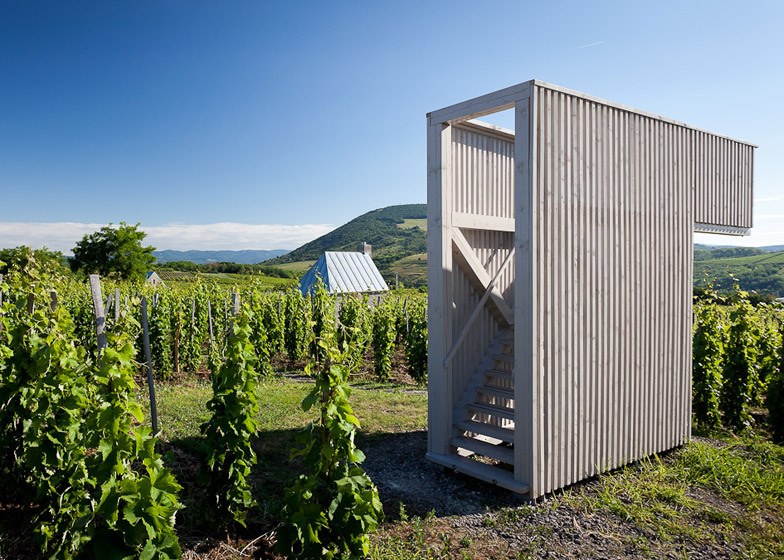 In time the idea evolved, and the Almagyar Wine Terrace project eventually become a series of buildings and spaces, including small sleeping cabins, a swimming pool, a camping area and a lookout tower. "The design procedure took quite a long time, around five years," Gereben told Dezeen. 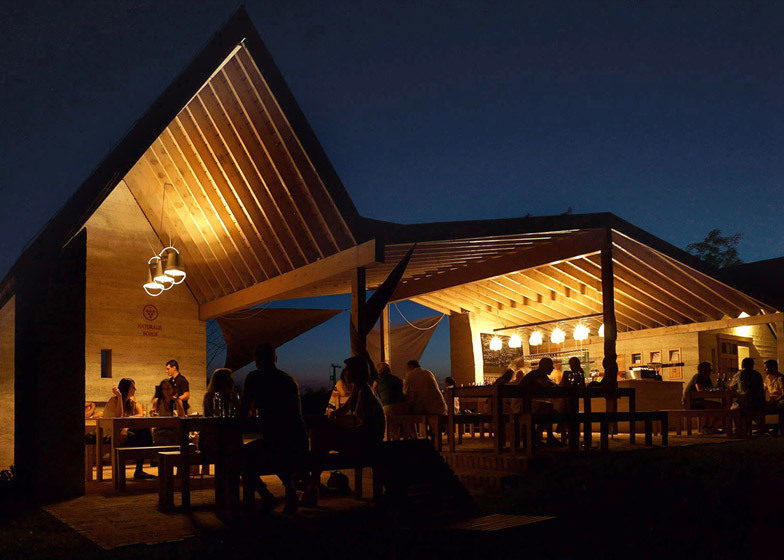 "The client thought he would just make a terrace offering wine, but then he started to to think about making bungalows you can rent, and camping spots between the trees." 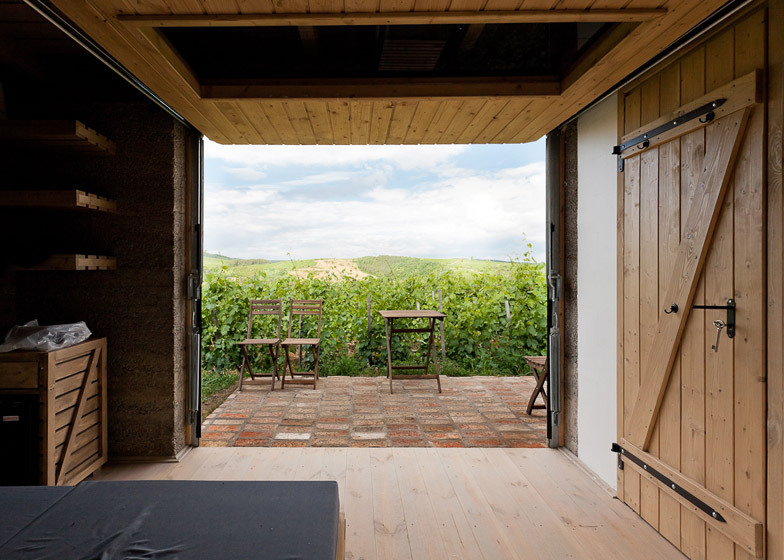 Around the site, the architects discovered a plentiful stock of tuff – a volcanic ash created when wine cellars are carved out of the stone – and decided to use it for the walls of the new buildings. "In this area, the oldest cellars are cut out of this stone," said Gereben. 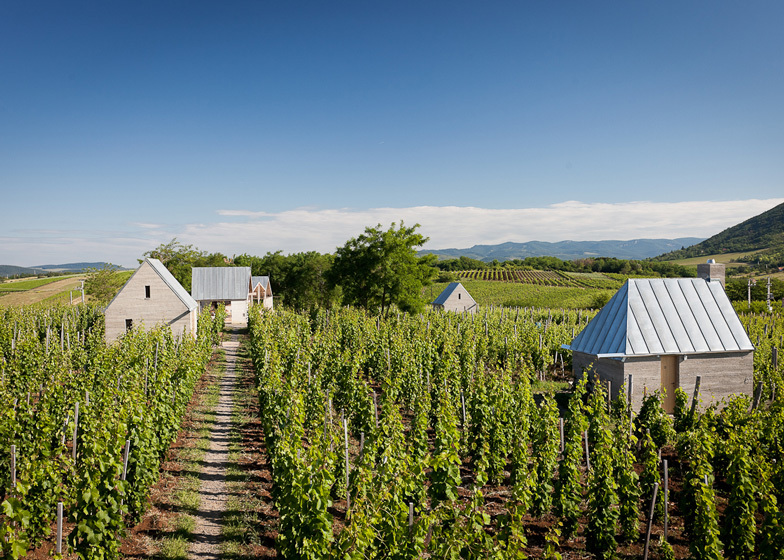 "It is a waste material that can be used for free, so we thought we might be able to recycle it, creating a cheap solution that reflects the concept of the winery." 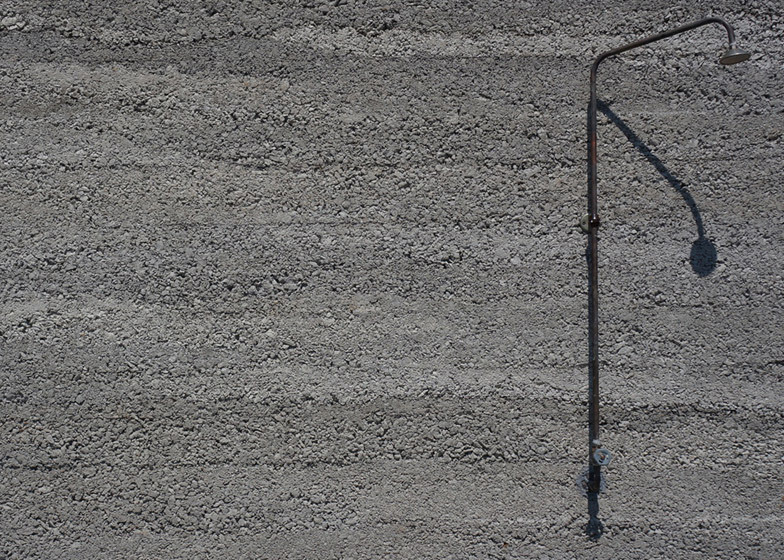 The powdered tuff was used to create an earth concrete, which provides the walls of the terrace and the three bungalows. 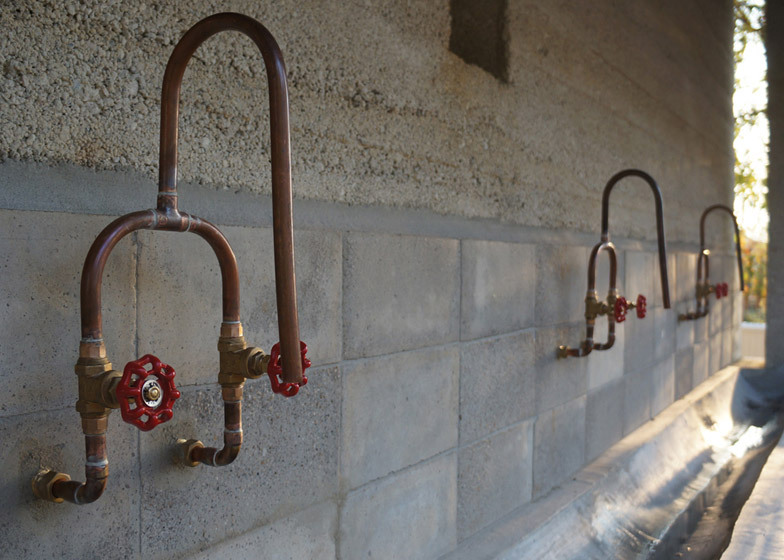 These were completed by the addition of a gable metal roof and reclaimed furnishings, from a hand-washing "trough" with copper fittings to second-hand lamps and cement tiles. 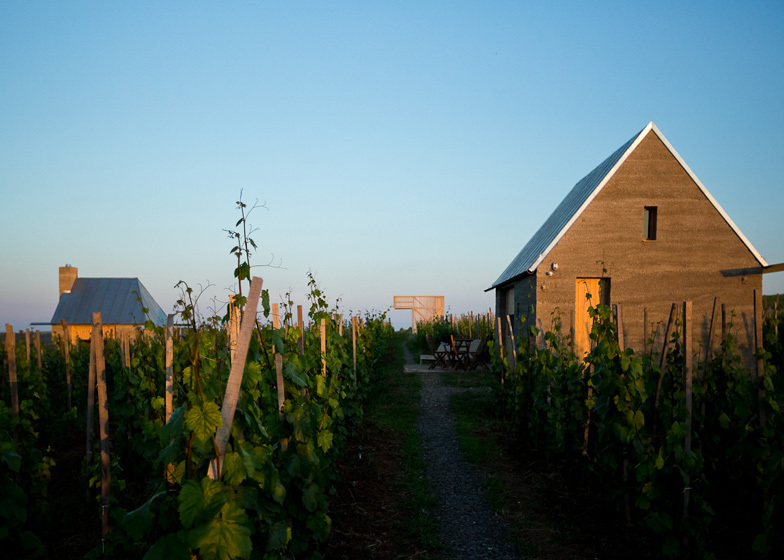 "The huts resemble the archaic buildings of the wine region with their characteristic proportions and use of materials," said the architects. 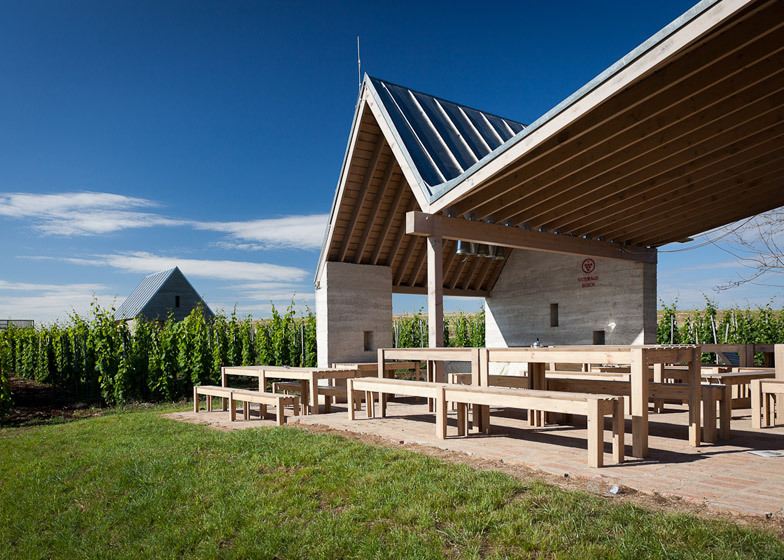 "The folded roof structure of the terrace provides a perfect place to relax and enjoy the scenic view with a glass of wine," they added. 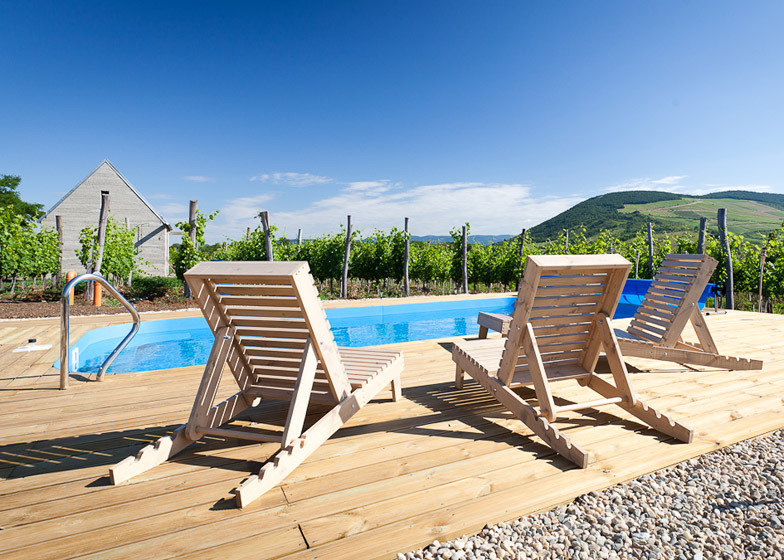 The lookout point is a narrow tower built from wood, giving a vantage point over the rural landscape, while the swimming pool offers the opportunity for a dip to cool off. 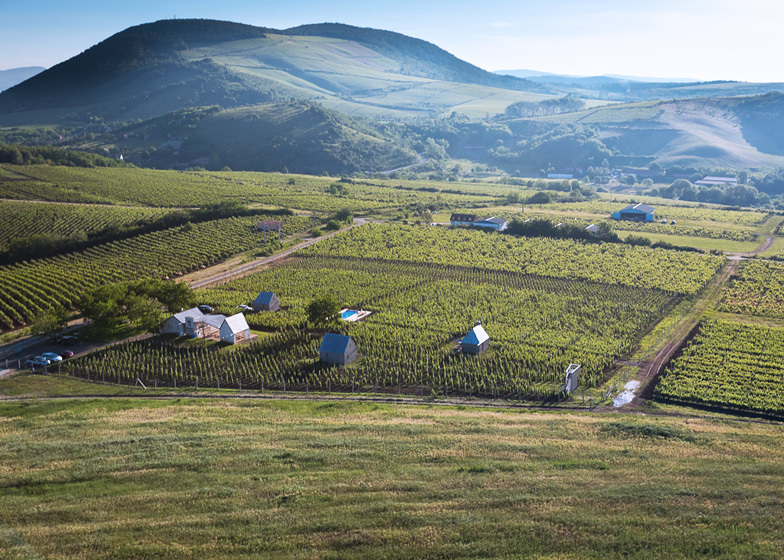 Client: Almagyar Archiepiscopal Wine Estate Ltd.